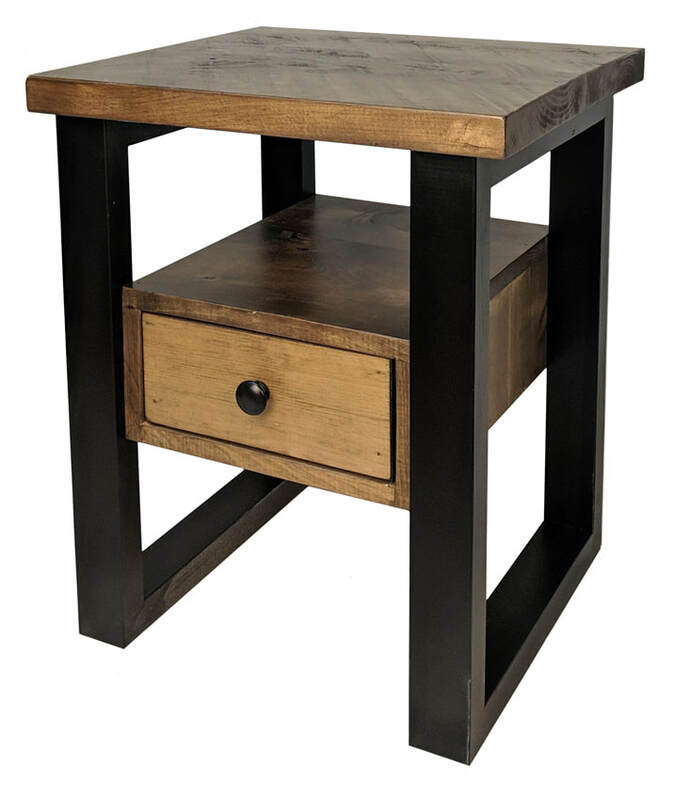 The Farmhouse End Table (item no. 392) is a beautiful piece that features a 'floating' drawer housing, hand planed top and spacious drawer. Contemporary wrap-around legs complete this table's modern farmhouse look.